Our village is small and sleepy, but unlike other picturesque villages in the Languedoc, which have been taken over for holiday homes, it is alive all year round. 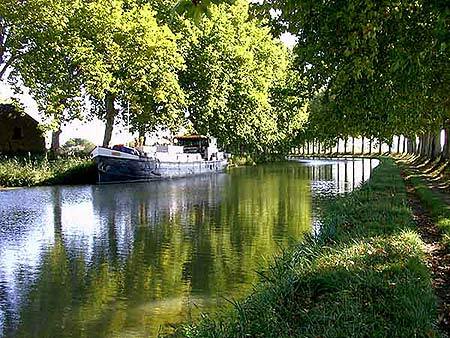 The red wine, available at the wine château beside the canal, is justly renowned. There are two restaurants (one of which is seasonal), a boulangerie (open mornings only) and La Poste (afternoons only). The UNESCO world heritage citation says it all: "This 360-km network of navigable waterways linking the Mediterranean and the Atlantic through 328 structures (locks, aqueducts, bridges, tunnels, etc.) is one of the most remarkable feats of civil engineering in modern times. Built between 1667 and 1694, it paved the way for the Industrial Revolution. The care that its creator, Pierre-Paul Riquet, took in the design and the way it blends with its surroundings turned a technical achievement into a work of art." The abbey of Fontfroide, about 30 minutes away, has a Michelin 1-star restaurant. 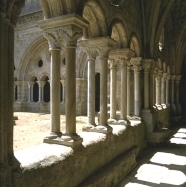 The Abbaye de Lagrasse, about the same distance from us, is set in the Corbière hills. 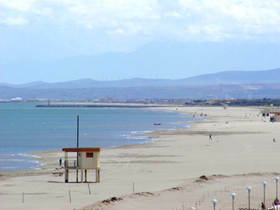 Narbonne was the first colonial Roman city to be founded outside the Italian peninsula. Today it is a very chic, perhaps even bourgeois, town. Its covered market hall, Les Halles, has a great buzz every morning till 1 pm, but is not cheap! 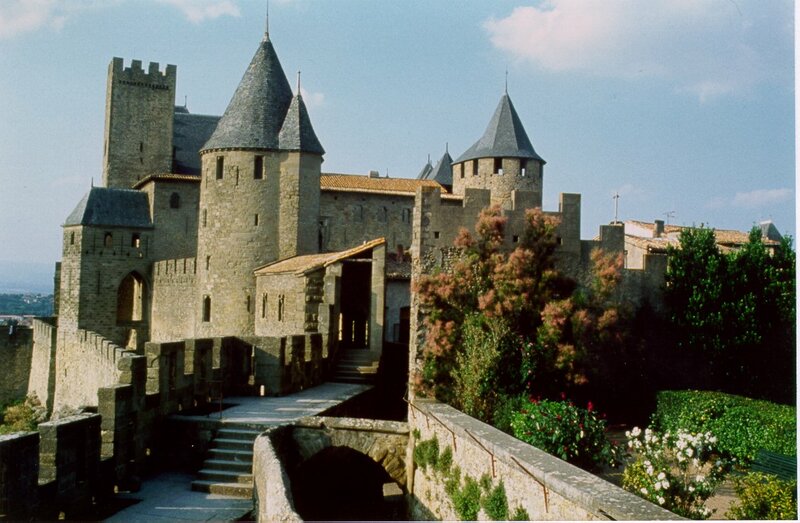 Another UNESCO world heritage site on our doorstep: "Since the pre-Roman period, a fortified settlement has existed on the hill where Carcassonne now stands. 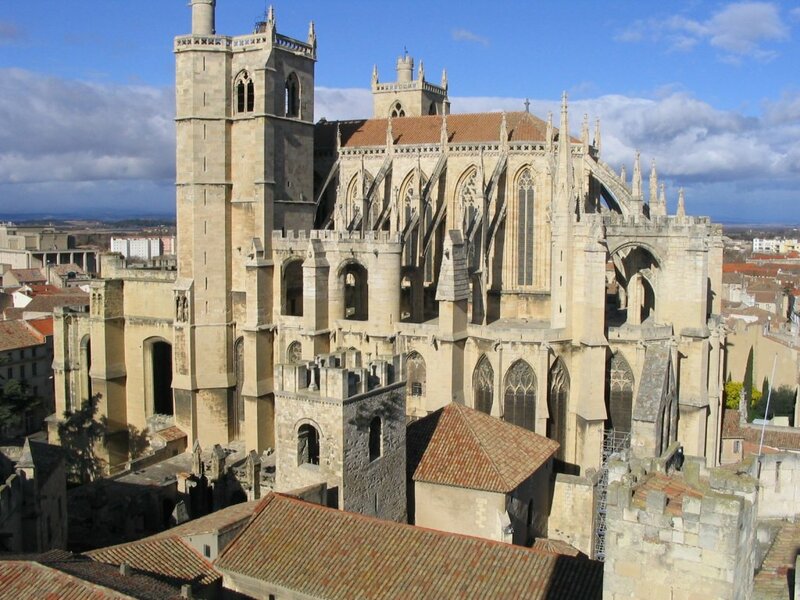 In its present form it is an outstanding example of a medieval fortified town, with its massive defences encircling the castle and the surrounding buildings, its streets and its fine Gothic cathedral." 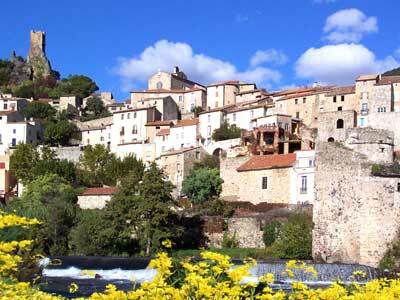 A one-hour drive northwards takes you into the Cevennes, the foothills of the Massif Central. We have to confess that it is at least as stunning as our own Scottish Highlands. 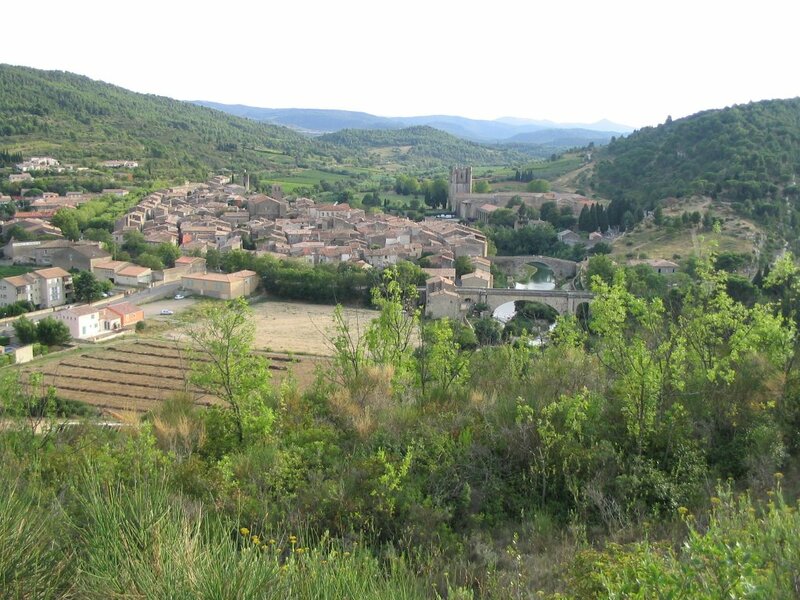 On the way there or back you can stop at Roquebrun, seemingly perched on a cliffside above the River Orb, or at St Chinian, to buy some of the renowned wine of that district. 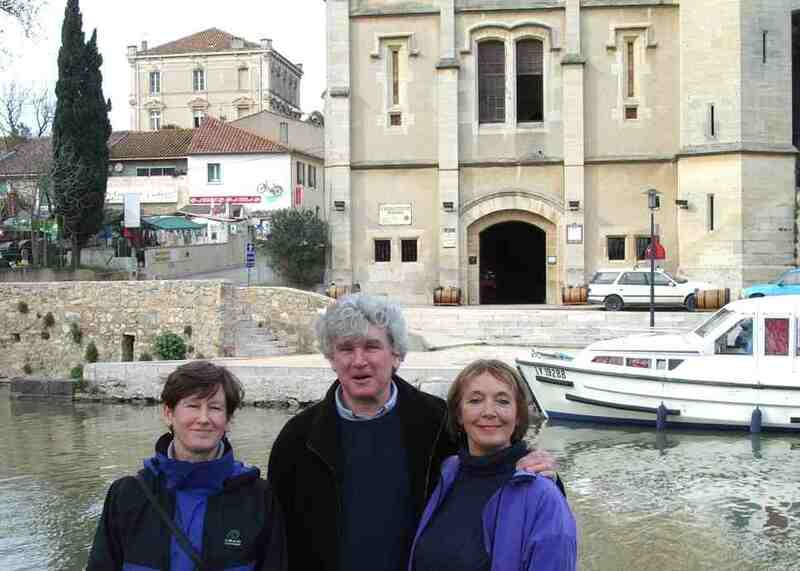 Southwards, past the Catalonian city of Perpignan, you encounter the Pyrenees. 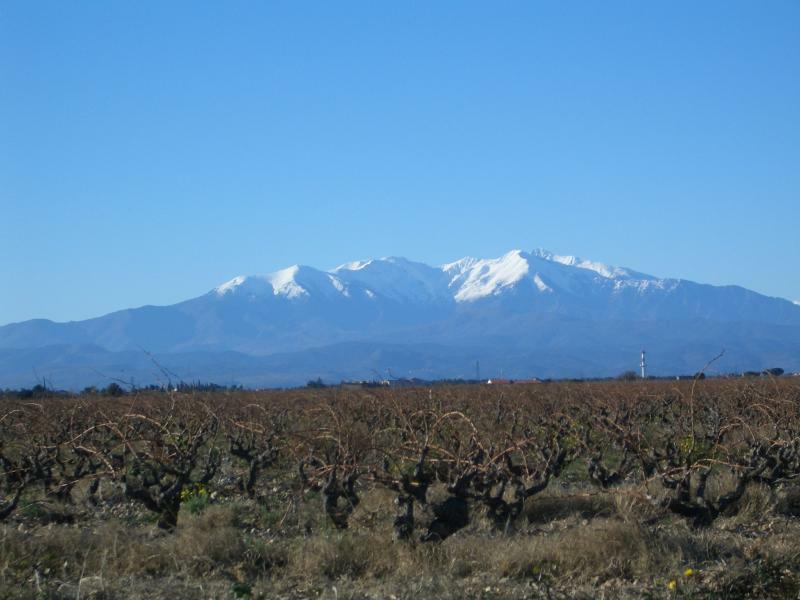 Le Canigou, sacred mountain of the Catalans (Muntanya sagrada dels catalans in Catalan) is the highest peak in the eastern Pyrenees, at 2786 m. It can be seen from La Fontenille on a clear day, a distance of 88 km (55 miles).